Due to the inclement weather tomorrow and dangerously cold temperatures all Council Facilities will be closed on Wednesday, January 30 2019. The Robeson Scout Shop & Raymond Lee Scout Service Center will re-open on Thursday, January 31 at 9am. Stay warm! Registration can be done by going to www.prairielands.tentaroo.com or going to www.prairielandsbsa.org and clicking on “Tentaroo Online Registration” All fees are non-refundable. All campsites are on a first come first serve and may be reserved at the Scout Office by calling Susan Coller at 217-531-0219 or emailing at susan.coller@scouting.org. Please be careful on the township roads that can be very slick on your way to camp. The western option (Camp Drake Road) is usually okay on the hills but tricky on the sharp turns. A better option is the straight and flat road to the south from Camp Drake, turning off of the Catlin-Homer Road. Upon arrival at Camp Drake, please check in at the Training Center for up to date news on the Klondike operations. A Saturday Morning Breakfast will be served! Pancakes and Sausage! It is a free will donation style breakfast! Served from 7:30 AM till 8:30 AM . All the overnight campers are encouraged to attend. Plus the Saturday travelers have a good reason to show up early. Warm your tummy for the big event. The gear required to explore the 2019 Klondike Derby has been distributed. . Look for the list on the website to help solve the events for the competition at the big challenge on Saturday, January 26, 2019 on the banks of the Salt Fork! Open to all Units camping Out Saturday Night of the Klondike Derby. Please bring your Chili in your Dutch Oven to the Mess Hall at 6:30 PM . A decorated Panel of Judges will decide the winner. THE UNIT CHOSEN AS THE WINNERS GETS A BRAND NEW DUTCH OVEN ! As the starter yells “GO!” , the reins are tighten and the sled jump forward, racing down the plateau in a flying fury of boots, gloves, and snow. The annual Klondike Derby sled race is the greatest sporting competition of the Prairielands Council winter event. Don’t miss the Klondike fun at Camp Drake on Saturday, January 26. The patrol with the highest score at the Prairielands Council Klondike Derby is awarded the “Pan of Gold Trophy”, an actual gold miner’s pan, marked with the history of the past winning patrols through the years. It takes quality leadership, strong teamwork, plus excellent Scouting skills and knowledge to earn the top honors amongst the 50 other Scouting patrols competing in the event. The young men who earn the “Pan of Gold Trophy” exhibit the best talents for winter preparedness, complicated problem-solving, and team spirit. If you think the Lombardi Trophy is the ultimate prize in all of sport, then you are sadly mistaken. The Yukon Jack Plaque is the most coveted honor in the sporting field, awarded to the fasted sled racing team at the Prairielands Council’s annual Klondike Derby. On the Camp Drake plateau, see the race on Saturday, Jan. 26, on the field where legends get trampled. The Program Wing of the Prairielands Council Camping Committee is planning to reward troops and their leadership in the recruiting and registering of Camp Drake campers in 2019. The PLATINUM AWARD will recognize troop leadership in encouraging an increased level of summer camp attendance. The goal for each troop is to increase the attendance level of Boy Scouts at Camp Drake in 2019. Each troop will receive a personalized goal for their troop’s attendance at summer camp “on the banks of the Salt Fork”. The 2019 Golden Camp Cups will be handed out to all Scouts planning to attend week-long resident camp this summer. Bring your Golden Camp Cup to the banks of the Salt Fork in June or July to receive surprises inside your vessel. Contact Illini Lodge to join the cup craze! During the PENGUIN MARCH excursion at the Klondike Derby, Boy Scout program highlights will be featured for Camp Drake 2019. Illini arrowmen will be serving up summer camp program information, along with a special feature on activities. This sneak peek into the 2019 summer will offer advancement details, Vermilion TreX options, and mighty night highlights. For additional information, contact Camp Director Mike Graham at the Prairielands Council Service Center, 356-7291 ext. 6441 in Champaign/ 427-5243 at Camp Drake or TEXT to 841-1464. SCOUTS TEST COLD WEATHER SKILLS!! The annual winter challenge is slated for Camp Robert Drake on Saturday, January 26 near Oakwood. Just like the artic conditions of Alaska, Boy Scouts will travel via snow sleds with their survival gear attached for a series of cold-weather challenges. The Klondike Debry competition is the ultimate winter sporting event including contests of strength, speed, and outdoor techniques. Scout patrols will be tested on survival shelter making, lashing rescue gear, and fire building in freezing conditions. The Klondike Derby is an amazing team-building experience for boys in grades 6 to 12. Scout patrols from over 40 troops from Illinois and Indiana will converge on Camp Drake. Several of the troops will have camped overnight in tents in the winter weather. Following the opening flag ceremony at 9:00 am, each group of 6 to 8 Scouts (a patrol) will traverse the ice and snow across the prosty terrain to contests of skill throughout the camp. The skill competitions judge each patrol on teamwork, Scout spirit, and skill level. Twelve contests are spread across the 410-acre camp, involving this year's adventure theme of “PENGUIN MARCH”. The grand finale, following the skills competition, is the championship sled race. At the end of the day, all of the patrols and their sleds are lined up on the large plateau field. Upon the signal, Scouts pull their sled like a team of huskies, sliding across the snow as fast as possible. The “Yukon Jack” trophy is presented to the winning patrol at the Klondike Derby. All of the Scouts enjoy the Klondike Derby's activities and ceremonies, making it year after year, the largest single day Scouting event of the Prairielands Council. Over 375 Scouts and leaders from throughout the 9 county council are expected for the highlight event of the winter. Klondike Chairman Kris Hoogstraat of Ashkum has recruited over sixty volunteer staff members to conduct the event. One of the highlight moments of the 2019 Illini Lodge Winter Banquet was the acknowledgement of the long term Order of the Arrow efforts of Kacey Clarkston Troop 234 in Westville and Bobby Butler of Troop 25 in Mahomet. Both Arrowmen have been active in Illini Lodge events and service throughout their Scouting careers. The Founder’s Award is a national OA honor in remembrance of E. Urner Goodman, who started the Brotherhood of Cheerful Service in 1915. Congratulations Bobby and Kacy! Each year at the Illini Lodge Winter Banquet, dedicated Arrowmen are distinguished with the Ken Frederick Award. This honor was created in commemoration of a dedicated Scouter and Arrowman from Troop 55 in Tolono. The award is presented to youth and adult arrowmen for their hard work for the lodge during the past year. The recipients of the Ken Frederick Award are Kenny Clarkston of Troop 234 in Westville and Kent McMahan of Troop 32 in Paxton. The pinnacle spectacle of the 2019 Illini Lodge Winter banquet was the induction of new Lodge Chief Ben Hoogstraat . Using the long-standing chief confirmation ceremony, Ben accepted the responsibilities for the lodge operations for 2019 as he accepted the tomahawk and pipe. The new chief then inducted the officers for the upcoming year: Ryan Henderson as the Vice- Chief of Administration, Sam Hoogstraat as the Vice- Chief of Activities, Kyle McGregor as the Vice- Chief of Inductions , Clayton McConnell as the Lodge Secretary, and Ethan Richards as the Lodge Treasurer. Best wishes for the new chief and the officers for a great year in the Brotherhood of Cheerful Service. Congratulations to Troop 25 of Mahomet, IL for earning the 2019 Illini Lodge Table Top Trophy. Troop 25 had the top total number of arrowmen and their guests with paid registration by noon on Friday, January 4, 2019. The runner – up units were Troop 234 of Westville and Troop 158 of Clifton. The honor of the fabulous Table Top Trophy was announced at the 2018 Winter Banquet at the Beef House in Covington, IN on January 6th, 2018. Illini Lodge contributed $1,000 to the Prairielands Council Endowment Fund at the Order of the Arrow Winter Banquet at the Beef House in Covington, IN on January 6th, 2018. The Brotherhood of Cheerful Service presented a James E. West Fellowship to Philip Wachter, in honor of his servant leadership to Scouting. In addition to recognizing Philip for his service to the lodge and Camp Drake, the donation to the Endowment Fund will support the council with long-term financial support. Still need Youth Protection training? Don't want the hassle of doing it online? Come on out to Illinois Fire Service Institute tomorrow, Wednesday January 8, 2019 at 6pm for the last youth protection in person training before recharters are due! The training will be during the Prairie Fire District Commissioner meeting and will finish around 7:30 to allow those leaders to attend the roundtable. RSVP to prairielands@scouting.org or just show up! Question about whether you have YPT? Email or call us at prairielands@scouting.org or 217-356-7291. For additional information, contact Staff Advisor Mike Graham at the Prairielands Council Service Center, 356-7291 ext. 6441 in Champaign/ 427-5243 at Camp Drake or TEXT to 841-1464. Former Chicago Bears defensive star Al Harris will provide the keynote speech at the 2019 Illini Lodge Winter Banquet on January 5th. During the great years of the 1980’s Bears defense, Al Harris helped make his team into a championship caliber club. As a defensive end and linebacker for the “Monsters of the Midway”, Al Harris had over twenty quarterback sacks during his 12 career in the National Football League. 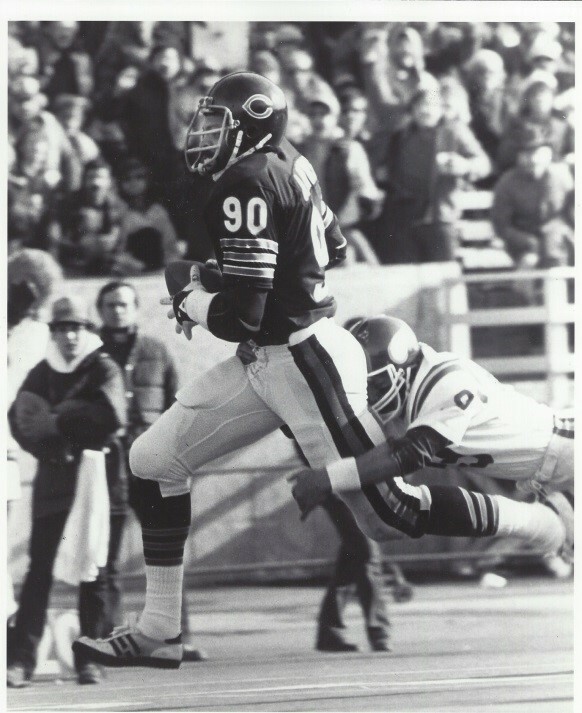 As a consensus All American defensive end at Arizona State University, Al Harris began his professional career as a first round draft pick (ninth overall) of the Chicago Bears in 1979. 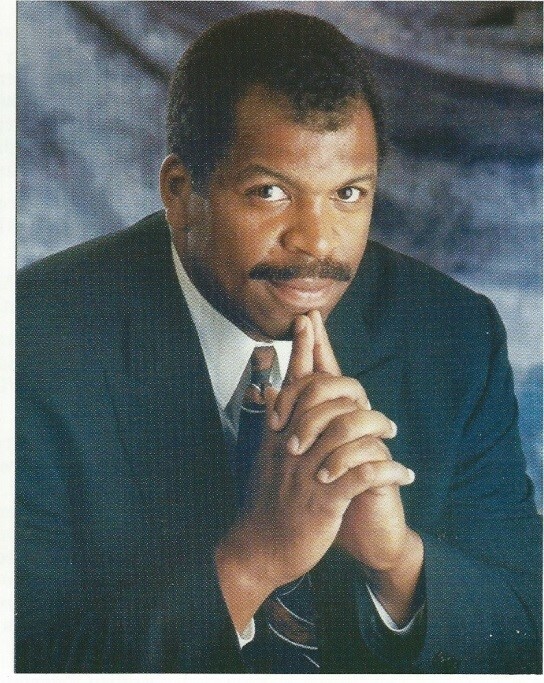 Mr. Harris will speak on his experiences in professional football, as well as the importance of leadership and teamwork in our daily lives. Illini Lodge of the Order of the Arrow is excited to hear details of leadership skills at the highest level of professional sports. The Order of the Arrow is the National Honor Society within the Boy Scouts of America. Upon achievement of the First Class rank in their Scout troop, youth are eligible to be elected by their peers to be inducted into the Order of the Arrow lodge. Lodge members, known as Arrowmen, serve the local Scouting council, Scout camp, and the community by leading district events and service projects. There are over 450 arrowmen in Illini Lodge of the Prairielands Council, headquartered out of Champaign, IL.